For a babymoon to remember, why not consider Alaska? Stunning natural features make this a truly unique destination, whilst the climate will give you good reason to snuggle up with your partner in your cosy accommodation! We haven't been able to locate any specific babymoon packages in Alaska, likely because demand is lower than in many other US states. Nevertheless, here's a selection of inns and resorts offering a romantic experience and memories to treasure. You may also like to check out our babymoon cruise page for information on cruising during pregnancy – probably the most popular way to experience this beautiful part of the world. Named one of the Best Romantic Retreats by Food Network.com, the Denali Overlook Inn is located at the tip of a bluff, affording magnificent views of Mount McKinley, Mount Foraker, and Mount Hunter. In winter, you can also enjoy outstanding views of the Northern Lights. The Inn offers a range of comfortable accommodation and a Great Room that allows you to enjoy the breathtaking wilderness surrounding, with a wall of windows overlooking the mountains. Start the day with a gourmet breakfast and end it by settling beside the fire pit and making s'mores, with everything you need provided by the innkeepers. Nothing says "romance" like a cozy log cabin with a fireplace, and that's just what you get at Denali Fireside! With a great view of Mount McKinley, Denali Fireside offers a cozy gas fireplace in each of its cabins and suites. With the attractions of Talkeetna town - including museums, restaurants and gift shops - just a short walk away, this resort gives you the opportunity to appreciate your stunning surroundings and explore the local area from a warm and comfortable base. The cabins themselves are freestanding, affording you the utmost privacy, yet providing all the amenities you'd expect from a hotel, and more besides! 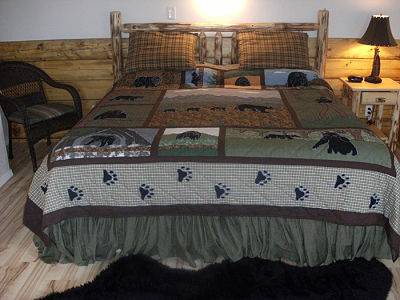 Features include a comfortable pillow top king bed with a hand crafted appliqued quilt; a relaxing sitting area with sofa and tables; flat screen TV, DVD player with DVDs and a full private bathroom with tub and shower. There is also a kitchenette and a large, private covered deck on which you can sip your morning coffee and admire your surroundings! For an even more intimate retreat, you may also like to check out the very private "Little Cabin in the Woods", that sits alone, tucked into the trees and located close to Talkeetna. 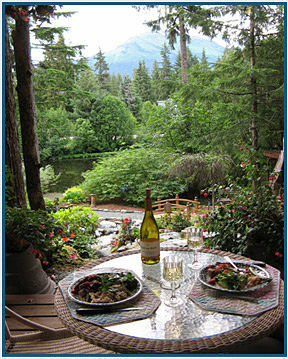 Pearson's Pond is an outstandingly beautiful and romantic babymoon destination, located beside a glacial pond in the Tongass Rain Forest in Juneau. The resort describes itself as more akin to a boutique hotel than a B&B, promising casual elegance and luxurious accommodation. Alaska's only AAA Four Diamond Award winning lodging property, Pearson's Pond's stunning garden has been featured in Sunset magazine. The tastefully decorated rooms offer views of the gardens, mountains or water from your view deck, whilst the luxury beds, black out shades and soundproofing ensure a restful and rejuvenating night's sleep. 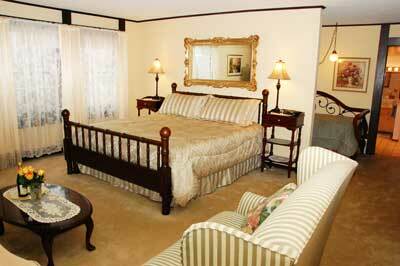 Rooms also feature eco-friendly fireplaces, private kitchenettes, plus spa-style robes and slippers. Listed by MSN as one of the most romantic destinations in the world, the Inn offers a variety of romance packages, including extras such as rose petals on your pillow, chocolates, fruit/cheese plates and soft music playing on arrival. The innkeepers also encourage you to let them know if there is something special you would like waiting for you in your room, so you have the opportunity to tailor-make your babymoon stay to be just the way you want it! 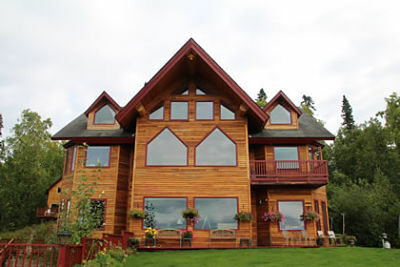 Enjoy commanding views of the city of Anchorage, Cook Inlet and Alaskan Range - plus charming accommodations and warm hospitality - when you book your babymoon break at the Highland Glen B&B. This beautiful Hillside Inn is located close to the Chugach Mountains - and its innkeepers have devised a romantic getaway package that would make a perfect babymoon experience! Box of chocolates in room. Alaska babymoon package features subject to change. Please verify features directly with the facility at the time of booking.